Hyperlexic kids read precociously early but have poor comprehension skills. If you ask them to picture a frog, what they picture is F-R-O-G. They are all about the letters, having almost the opposite problem from that of dyslexics. 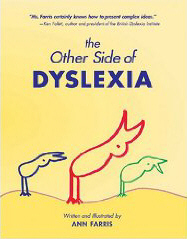 If hyperlexic kids want to comprehend, which most dyslexics do just find, they need to become all about the pictures. Gratefully, hyperlexic kids can often be helped by teaching them to visualize what they are reading. Most of us having a dynamic picture in mind as we read. If you aren’t too sure, think about the last time you saw a movie based on a book you have read. If you have ever said to yourself, “Oh, that’s just how I pictured that scene,” or “Noooo! That’s not how I pictured him at all,” then you are creating little movies while you read. The reading intervention we are considering for Zach helps kids create pictures of what they are reading, and then helps them string those pictures together into an internal movie. I’m going to two days of training to learn how to do it, but it’s not until the end of the month. In the meantime, we have the ever-creative Wendy. She came up with the idea to have the boys use clay to make the scenes for a book they had written with her a couple of months ago. This past Saturday, we printed the book, sculpted the scenes, and the boys and I took pictures of them. We did a few voiceovers on iMovie and, voila, we’ve got a digital book of sorts.